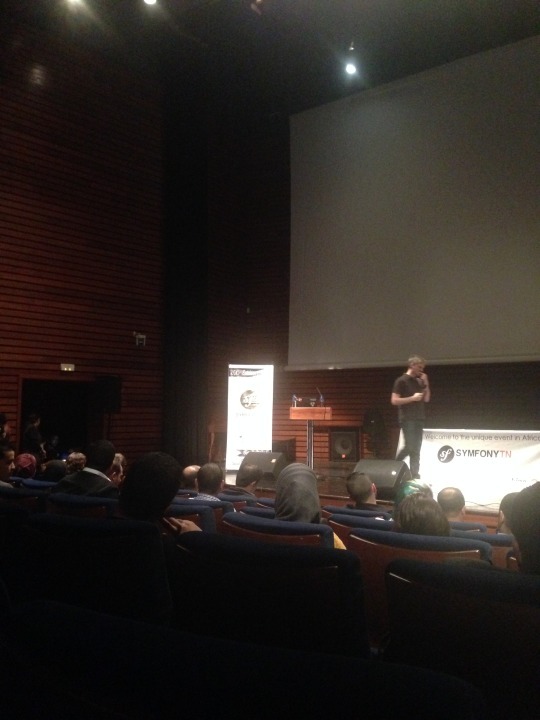 So I went to the second edition of Symfony Tunisia, the first Symfony conference in Africa and the arab world. It was a great opportunity for meeting Fabien Potencier, the creator of Symfony and a lot of other talented developers. Here’s a (very) brief summary for some of the talks. Fabien Potencier started by talking about the framework history, why he created it and where it’s heading. He then explained how important the role of the community in improving and maintaining Symfony. He also pointed out that Tunisia is ranked 15th for symfony.com traffic. Pascal Borreli explained how the open source world works. How one could start contributing to open source projects and why you need to open source your internal projects. He also talked about free tools for Open Source projects. William Durand explained why deployment with Docker is awesome. 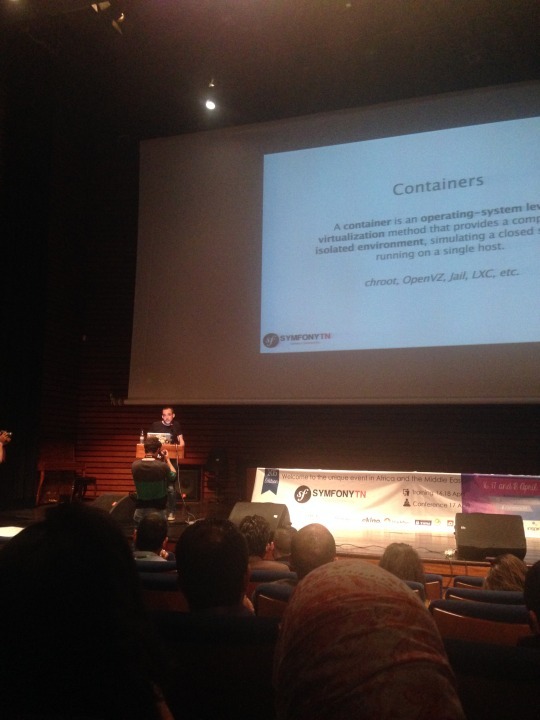 He started by explaining what docker is all about, the concept of containers and how it differs from VMs. He then went on to show us the architecture and config to ensure zero services downtime while deploying. Also providing examples with use cases for how you can correctly update your database and keep your services up (in most cases). It was really an interesting talk, now I need to take a look into Docker in more details. All in all, SymfonyTN in its second edition, was very interesting and was well organized. It was fun and I’ve met a lot of people. 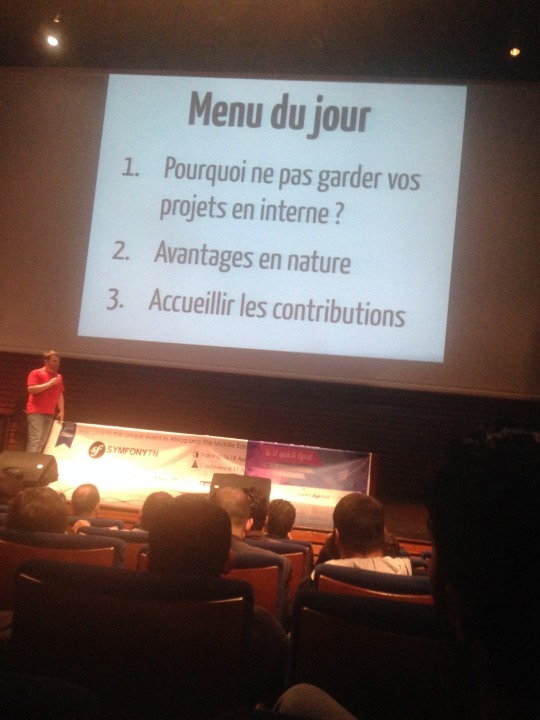 I can’t wait for the next edition and hopefully for other web technologies conferences.